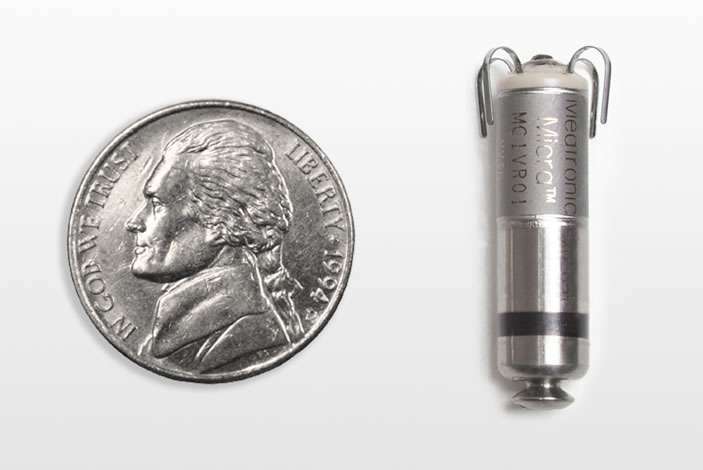 An international clinical trial, led by Emory Heart & Vascular Center researchers, reports excellent outcomes for the world's smallest, minimally invasive cardiac pacemaker, the Micra Transcatheter Pacing System (TPS). The study results were reported by Emory at the Heart Rhythm Society Scientific Session 2017 as a late breaker clinical trial and simultaneously published in Heart Rhythm. Unlike conventional pacemakers, the vitamin-sized Micra TPS does not require the use of wires, known as "leads." These leads, threaded through blood vessels to connect to the heart, are sometimes the source of serious medical complications such as infection and vein injury. A total of 795 patients from more than 20 countries were enrolled in the prospective, non-randomized, multi-center trial. The goal was to assess the safety and performance of Micra TPS in a "real-world clinical practice setting" and in hands of new operators. According to the study, the Micra TPS device was successfully implanted in 792 of 795 registry patients (99.6 percent) by 149 implanters at 96 centers. Eighty-seven percent of these149 operators performing the procedures did not have any prior experience implanting the Micra TPS. "The major strength of this study is the inclusion of patients from around the globe and different operators with variable levels of experience with this technology," says Mikhael El-Chami, MD, associate professor of medicine, Emory School of Medicine who presented the results at the scientific session. "The findings are reassuring and reinforce the positive results seen in the prior investigational study providing another layer of evidence to physicians and patients that this leadless pacemaker can be implanted safely and successfully." El-Chami says a positive surprise of the study is the low rate of complications specifically the lower rate of pericardial effusion as compared to the original study. Major complications were seen in 1.5 percent of patients within 30 days of implant in this study. This complication rate compares favorably to what was seen in the investigational study (2.89 percent 30-day complication rate) and to what is seen with conventional pacemakers (typically 4-5 percent acute complication rate). Major complications included cardiac effusion/perforation, device dislodgment and sepsis. El-Chami and his Emory Heart & Vascular Center colleagues were the first in Georgia, and among the first in the United States, to begin implanting the Micra TPS in 2014. Emory was the top enrolling U.S. site in the trial. 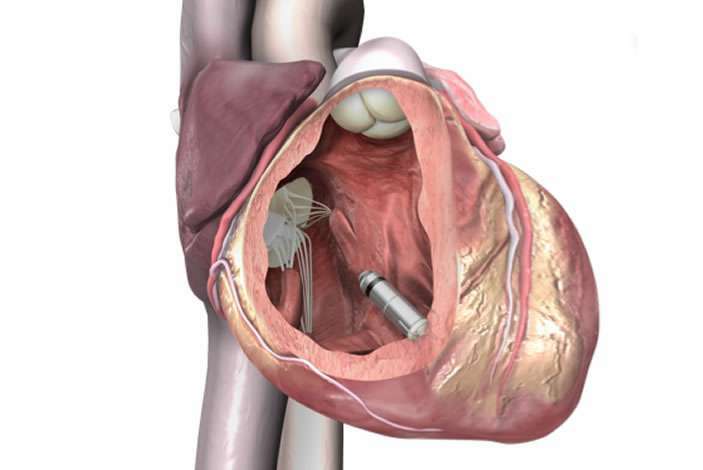 During the procedure, the tiny device—approximately one-tenth the size of a conventional pacemaker—is delivered through a catheter inserted in the femoral vein to the inside of the heart. Once positioned, it securely attaches to the endocardial tissue of the heart wall and sends electrical pulses to the heart through electrode tips whenever it senses an abnormal heart rhythm. According to El-Chami, this study reports solely on the short-term outcomes of this novel pacemaker. Intermediate and long-term outcomes, which are important to know, will be reported later. The study intends to enroll approximately 1830 patients and enrollment is currently ongoing. 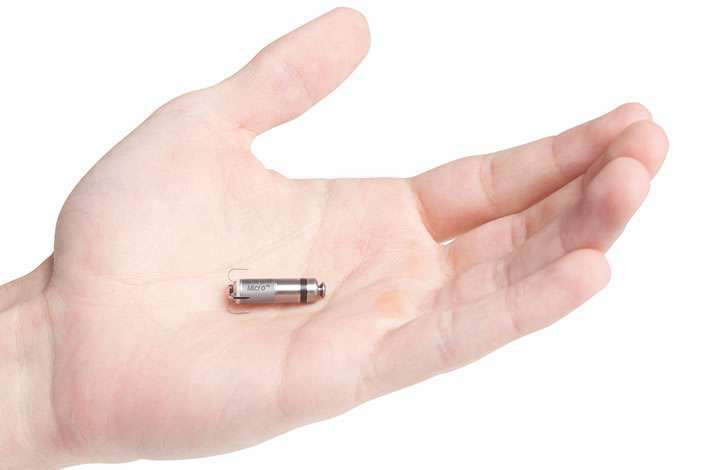 World's smallest Medtronic Micra pacemaker: Cardiac pacing game change?